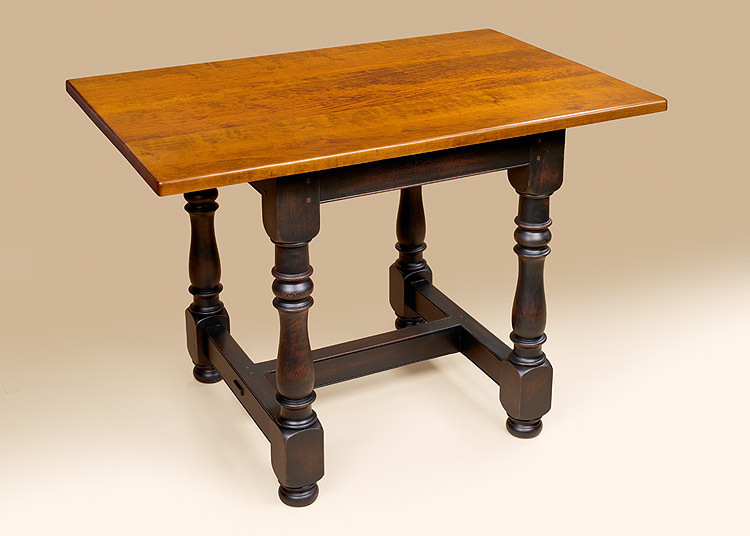 Turned legs and fine grain detailing give a country charm to our Counter Table. This is a great addition to your kitchen. This would be an ideal kitchen counter or kitchen table. 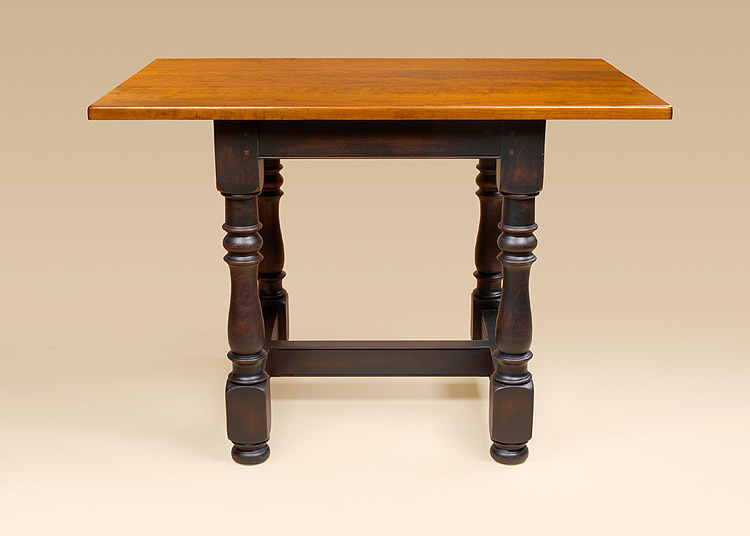 This piece could also work in an office space as a work table or desk. 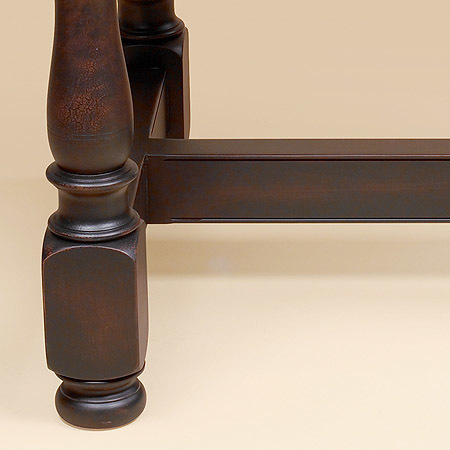 Its lovely form doesn’t detract form the strong functionality of this hand made piece. 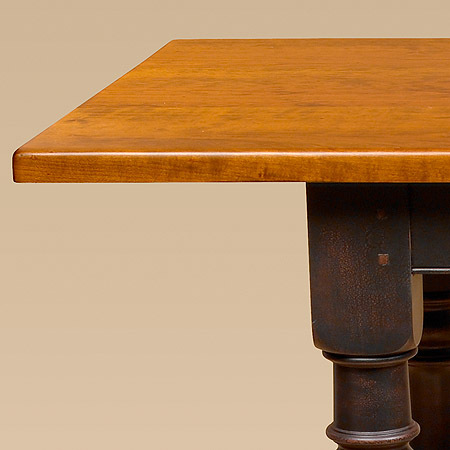 *Table pictured is featured in hand-planed cherry top with antiqued black over red painted, stretcher base.